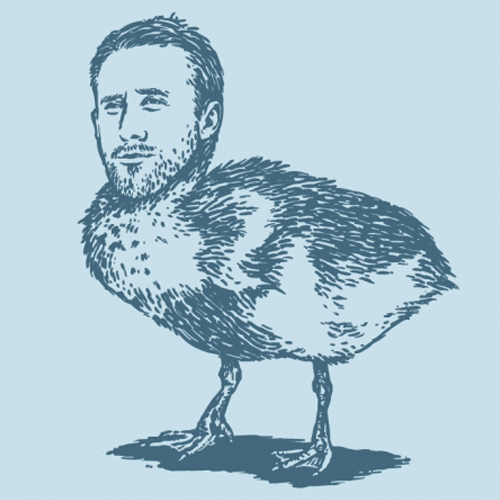 gosling kwa BustedTees. How cute is this gosling t-shirt kwa BustedTees?!? Want!!!. Wallpaper and background images in the Ryan gosling club tagged: ryan gosling ryan gosling t-shirt cute super cute. This Ryan gosling fan art might contain homing pigeon, homeri, homing njiwa, and homer.